Chengdu, located in Southwest China, is the capital of Sichuan province. It is also one of the most important economic, transportation, and communication hubs in Western China. More than four thousand years ago, the pre-historic culture of Jinsha established itself in this region. The fertile Chengdu Plain, on which Chengdu is located, is called Tianfuzhiguo in Chinese, which literally means "the Country of Heaven", or more often seen translated as "the Land of Abundance". Ranking third in the Cities of Best International Image in China and officially recognized by the UN Habitat Environmental Award, Chengdu enjoys nice weather and the city is also widely known as “The City Impossible to Leave After Coming”. Five UN World Heritage sites, second only to Beijing, and numerous gorgeous scenic areas including The Giant Panda Breeding Base have solidified Chengdu’s reputation as an ultimate tourist destination. Chengdu has inherited the cultural legacies passed down from ancient times; simultaneously, it has absorbed and created its own unique modern culture. As an oriental metropolis, Chengdu is a place mixed with traditional culture and modern civilization: art galleries, varying from Sichuan Opera and embroidery to contemporary paintings and concerts; cuisine highlights, famous for its Sichuan Cuisine, Hot Pot and snacks; shopping districts, stocked with products from original Chinese handicrafts to the latest Louis Vuitton handbag or Ferrari sports car. Chengdu is in the North China Dialect Area, thus making it a preferable place for Mandarin study. SWUFE is a national key university under direct administration of the Ministry of Education and is listed in both “Project 211” and “985 Innovative Platforms for Key Disciplines Project”of the Chinese government as part of the national endeavor to build world-class universities in the 21st century. It is also selected as one of the trial spots for nation-wide educational reform. Located in the city of Chengdu, SWUFE now has two campuses, the Guanghua Campus and the Liulin Campus. With an overall area of about 380 acres (or 2300 Chinese Mu), SWUFE is also known for its picturesque campus scenery. The Southwestern University of Finance and Economics, known as SWUFE, is one of the Ministry of Education’s 71 key universities. Within this elite group, SWUFE is one of only five universities specializing in finance and economics. SWUFE was established in 1925; it now contains 2 campuses, 27 departments and schools, and 24,126 students. As a leading university in finance and economics, SWUFE offers almost all finance, economics and management discipline. Since the inception, we have committed ourselves not only to advancing academic research but also upholding the humanistic concern. A university's role is not only to impart knowledge, but also to groom the moral character of the future pillars of society, and to cultivate the hope for the future, the pursuit of dreams. This, we believe, is the essence of a university and the aim of SWUFE. 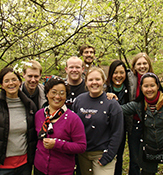 SWUFE began enrolling and educating international students in 1996. 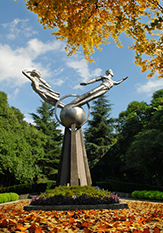 In 2001, SWUFE was listed as one of China’s key universities for enrolling and educating international students. Since 1996, SWUFE has successfully educated thousands of international students from countries all over the world. The College of International Education (CIE) was founded in 2004, hence becoming the department responsible for international students’ recruitment, education and management. Cooperating with numerous foreign universities/institutions/organizations, CIE also runs international student exchanges and double degree programs. The last ten years of development have gained us worldwide reputation and our Chinese language teaching quality is well recognized regionally.